Agora você pode alugar uma bicicleta totalmente equipada para fazer o caminho de Santiago a partir do Porto. Percorrer O CAMINHO PORTUGUÊS DE SANTIAGO em bicicleta a partir do Porto É CERTAMENTE UMA EXPERIÊNCIA EXCITANTE, MEMORÁVEL E UMA RECORDAÇÃO PARA A VIDA. There are three main routes from Porto to Santiago de Compostela: the central way, the coast way and the Braga way. During the trip, you will discover ancient customs, a welcoming people, a unique nature and a mysticism that over the centuries has led millions of Pilgrims to Compostela. The Portuguese Way is considered at present as the most important secondary Jacobean route. This is probably one of the reasons for the increase in the number of pilgrims. Doing the Portuguese Way of Santiago by bike is an excellent opportunity to experience a unique adventure through an itinerary that has fascinated millions of people throughout the centuries. 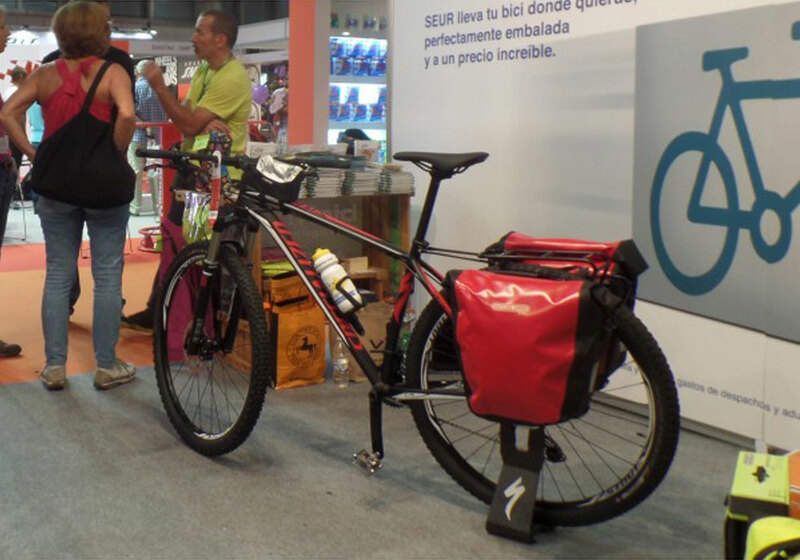 Now you can rent a fully equipped bicycle to make the way to Santiago from Porto. In collaboration with BICIGRINO, specialists in renting bicycles modified and adapted to the peculiar needs of cycle touring and specially the ways of Santiago, BICLAS & TRICLAS is the official BICIGRINO store in Porto where you can raise your bike "Bicigrino". Equipped with high quality components and 29 wheels. This allows the bike go by land area and the traction is always soft. To give you all the peace and security in route. For only € 10, we receive in our store in Porto your rented bike in Bicigrino website, we assemble some pieces and make sure everything is ok for your trip. 1. You can book your bike, to pick up at our store in Porto, directly on the Bicigrino website.